It's 1950's New York! A rich lawyer's widow has been brutally murdered. What starts as a routine investigation quickly takes a dark turn. It's up to you to shed light on the secrets of the past. Are you brave enough to take on this chilling adventure? 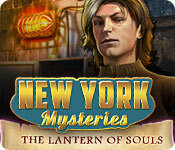 Find out in New York Mysteries: The Lantern of Souls! New York Mysteries: The Lantern of Souls is rated 4.6 out of 5 by 29. Rated 5 out of 5 by maggler from Excellent SE Challenging, intriguing and fun to play; glad I didn't purchase the CE - I think it would have distracted from the overall experience! Rated 5 out of 5 by Yanie1020 from A Winner! A long, fun game. I did have to use some hints, but all the hints did was show me which area on the map to go to, so they didn't spoil it for me. The mini games could have been a little more difficult but they were still fun. I wish there wasn't quite so much help when you clicked on an item. It pretty much told you exactly what you needed to do. I don't like that much help because the fun part is figuring out what to do. It would be okay for those who play in the casual mode but not for those of us who like more of a challenge. 4 1/2 stars for me. One of my favorite series for sure. Rated 5 out of 5 by jazzy532 from is this the end of the gravedigger? I love this game, I like all games that either give me a scare or make my skin crawl, I enjoyed it so much I keep reverting to the start or delete my profile and play again, That and the dark parables I love both.Cannot wait for the next game. Rated 5 out of 5 by miansc from Another New York Mysteries Game I have found that the New York Mysteries games have not disappointed me yet. This was no exception. I really enjoyed this game! Be sure to try the demo and see if this game becomes a buy! Enjoy!! Rated 5 out of 5 by kihei1 from I don't do reviews I am not a gamer. I do not know all the vernacular. What I do know, is that, this game challenged me while not making me feel stupid. 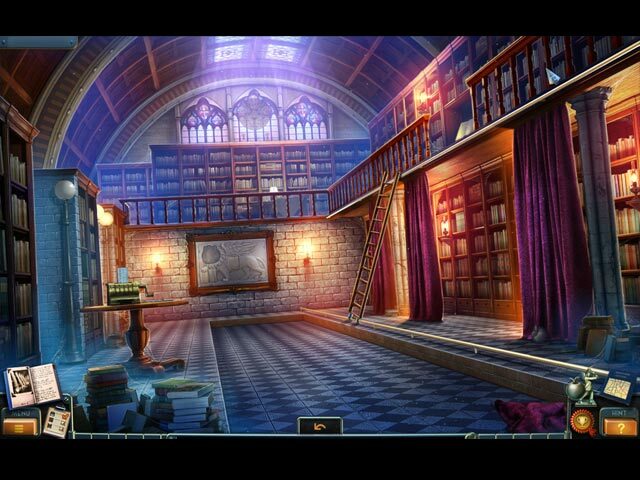 The hidden object portion is the best. It is not just find objects. It is the type that requires you to find an object, use that object to figure out another piece of the puzzle. The morphing objects, special cards, etc. that many games have where challenging, but not impossible. I often spent quite a few minutes trying to find them, but I eventually did. I loved this game. Rated 5 out of 5 by Yurnmesis from Great Graphics! Hint Transports! Moves Forward! Fun Game! Overall: Great graphics, good stand alone story, interesting scenes, clear items, not a lot of back and forth and if you had to return to an old scene the hint transported you there. This game was entertaining and enjoyable with a good pace and offered a fun journey. It’s not a real long game, but it’s one the whole family can enjoy together and a game I will play again. The New York Mystery games are well designed and crafted and worth giving one or more a try. Graphics: Excellent clarity of all objects, scenes. Well crafted. Sounds: Very appropriate. Music: Didn’t have to turn off, not intrusive to the game. Characters: Human with a touch on the cartoon, mostly attractive and not distracting from the game, very well done Hints: Transported you to next scene and moved the game steadily forward which I prefer. Map: Could use to transport but didn’t really need it with the excellent hint transport. HOG: Interactive and fun, so you have a bit of a challenge, mostly find objects vs lists. Clear objects and good visibility, and no dark hidden corners. Mini: Varied and well crafted, probably not as challenging as some, but as a non-mini fan I genuinely enjoyed them and only skipped a couple. Rated 5 out of 5 by IPickYellow from Lots To Do Good length, lots of content, many scenes, decent puzzles, understandable plot and a map to help you out. That's a lot for a game that isn't a CE. There's a bit of back and forth, but they gave us a map so there's no need to complain. Rated 5 out of 5 by the3rdparty from New York, New York! This was an excellent game. It was very clever and had lots of fun mechanics. However it wasn't so difficult that the average mechanic wanna-be couldn't accomplish anything. It was totally fun from a to z. Rated 5 out of 5 by jbird26 from A Fun Mystery Game I loved this game. 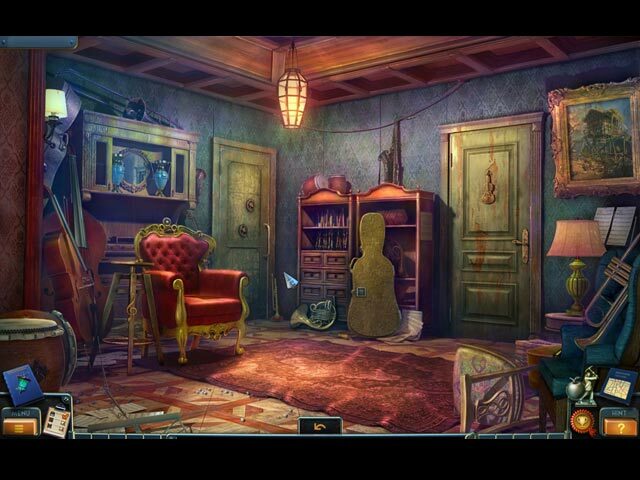 It is story driven and not just a usual hidden object game. 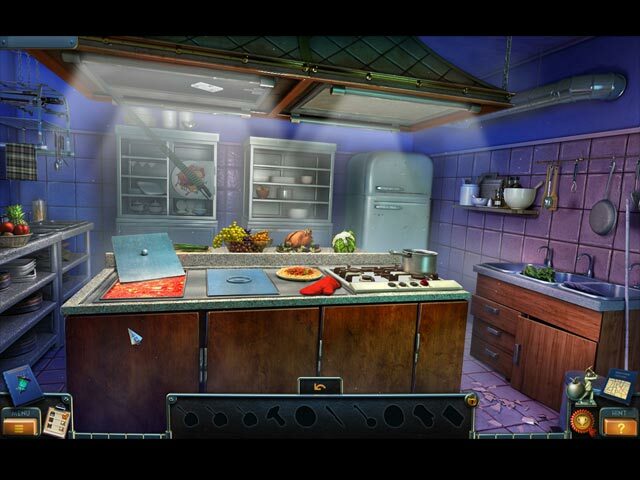 There are hidden object scenes but they are silhouettes and instead of just searching for an item you must use the silhouetted item to find other items in the scene. I so prefer that to just random items to find in a scene. The story is good and the length of the game was also good. The puzzles were easy but it didn't detract from the fun of the game. Is this an ordinary murder case, or something more sinister?